This past week I was fortunate to have the opportunity to engage in Facilitator Training with some wonderful leaders in our Board. It was energizing, supportive, informative and prompted a lot of great reflection and discussions. How do Labels affect the Learning Process? One of the key ideas that resonated with me was how labels affect what we think we know about someone, and the learning process. It is amazing how our practice is often entrenched in the labels we use. Labels can be limiting, and have consequences for all key players in education. For instance, the word ‘student’ is a label that is embedded in traditional understandings of what it means to be a student. Traditional understandings of labels need to be actively challenged in the 21st century. Effective collaboration promotes deep and meaningful change. Opportunities for effective collaboration evolves out of a respect that we are all learners and facilitators in a 21st Century learning environment. 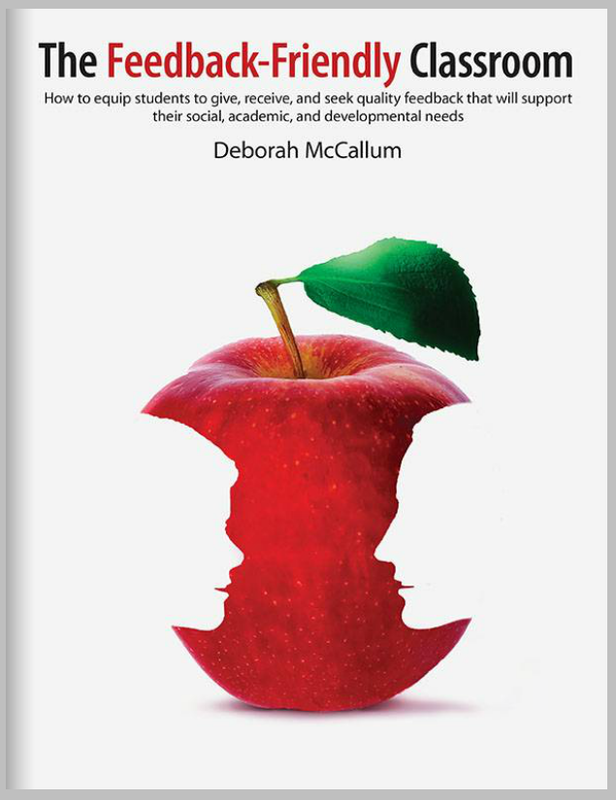 We can facilitate more meaningful collaboration in our education systems by manipulating our use of labels, and exchange the word student, with ‘learner‘, and exchange the word teacher with ‘facilitator’. This tactic gives us permission to think outside of our ingrained schemata of what it means to teach and learn. Often, our schemata includes visions of the teacher as a ‘sage on the stage‘, and the student as a passive receiver of information and knowledge. To solely use the labels ‘student’, and ‘teacher’ implies that the players in our education must always carry out the same roles to succeed. However, in the 21st Century, we realise that students are also teachers and facilitators, and we understand that teachers are also learners and facilitators in the classroom environment. 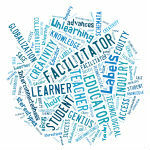 Further, we realise that the ‘learner’ and ‘facilitator’ are interchangeable terms, and depict roles that we must switch in and out when we are engaged in meaningful collaboration. At one point in our Facilitator session, we each had cards that were adapted from the School of Unlearning www.schoolofunlearning.com. • How do you check your ego? • Could the experts/research be right? • Is there an alternative way? • Can you embrace change? • What can others teach you? These questions were a great reminder about how entrenched we as humans become in our existing schemata, knowledge and understanding. But in the 21st Century we need to unlearn our traditional views and embrace 21st Century schemata that acknowledges that knowledge and understanding is a fluid process that is always changing. ….Human beings are predisposed to preserve existing understandings of the world and they attempt to make new things familiar by transforming them into something that is consistent with what they already know (Stephen Katz 2010, p.19). First of all, this quote serve as a great reminder to take the time to look at alternative research and points of view. Second, this quote also gives use permission that when we feel our internal resistance to new knowledge and new ways of thinking, that we are allowed to take time to pause and reflect. We are allowed to be lacking in answers and take time to check out new research consider other views, even if we don’t agree. Third, even though the research may be different than current schools of thought, there are always alternative ways of looking at the data. We cannot make assumptions about what others are thinking and what they believe in. Finally, this can be messy, but hopefully respectful process that can lead to shared understandings and educational success. It is time to actively challenge the labels and roles that we are expected to play in education. We must access the research, and consider new forms of knowledge whether we agree or not. Further, it is time to take the time, to actively check in with ourselves and engage in reflection. Can I assume that the research could be right? Facilitating effective collaboration depends on the ability to comfort those who are too distressed, and distress those who are too comfortable in their practices, and can create an optimal equilibrium for promoting change. Success in learning depends on developing this optimal equilibrium. Effective facilitators can harness this knowledge of ‘student voice’ to bring about effective changes in developmentally and culturally appropriate time frames. New ways of thinking in the 21st Century are based in flexibility and fluidity. There will always be new knowledge and new ways of thinking that are inevitably as diverse as the learners we encounter. We no longer have to play traditional roles in order to experience success. Effective facilitation is about embracing change and promoting deep and meaningful collaboration with all learners. The 21st Century is about Paradigm shifts, new blended models, inquiry processes, collaboration, globalization with technology, and changing classroom ecology. Facilitation skills are very important in all areas of education, and I am looking forward to this new journey.